In the League of Women Voters’ debate, New Jersey’s Democratic candidate for Governor reaffirmed he would prohibit state spending that is inconsistent with New Jersey’s State Plan. The Republican candidate responded affirmatively as well for the first time publicly, although elsewhere in the debate he offered investment ideas that were at odds with the Plan. If such a prohibition is implemented, New Jersey could catch up to states like Maryland, where state investment outside of “smart growth areas” has been banned by law since 1997. Maryland’s approach to smart growth means that since 1998, 100 percent of state infrastructure spending and 80 percent of population growth has occurred in “priority funding areas” targeted for growth or redevelopment, rather than on lands to be left undeveloped. Some 80 percent of school spending now goes to existing schools, compared with the two-thirds of spending that went to new construction in 1985. Key to Maryland’s success is the outspoken commitment of its governor to smart growth, and his creation of two Cabinet-level posts to oversee planning and implementation of smart growth. In contrast, planning in New Jersey is loosely coordinated on a part-time basis by a single staffer in the Governor’s office. 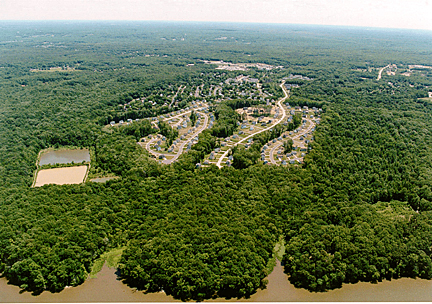 New Jersey’s Office of State Planning is a sub-Cabinet group with limited statutory authority, and a budget too small to offer centralized growth projections – even too small to help builders identify desired growth sites. Long considered by experts as the likely first state to reach full build-out, New Jersey now faces the potential and additional growth pressures of companies and individuals relocating in the aftermath of Sept. 11. Managing our growth in a way that doesn’t permanently sap our prosperity will take more than the minimal measures we now have in place. It will take strong coordination and oversight from a cabinet-level post that ensures planning and spending for New Jersey’s growth receives the full and regular attention of the state’s highest leaders. Elevating state planning to the Cabinet level will greatly increase coordination between state agencies such as DOT and DEP on growth decisions and spending, and provide a voice of expertise and authority on regional growth issues that’s missing today. New Jersey’s new department of planning should be authorized to review incentives for relocating businesses, and align such growth incentives with the State Plan. Also, it ought to be the authority on what New Jersey is planning for, with a central office for collecting planning data now scattered across independent agencies, data that can be used in preparing a single set of employment and population projections and in identifying desired growth sites. Such changes in planning leadership are essential to reversing the status quo patterns of growth statewide, and to more effectively managing the regional impacts of major development. 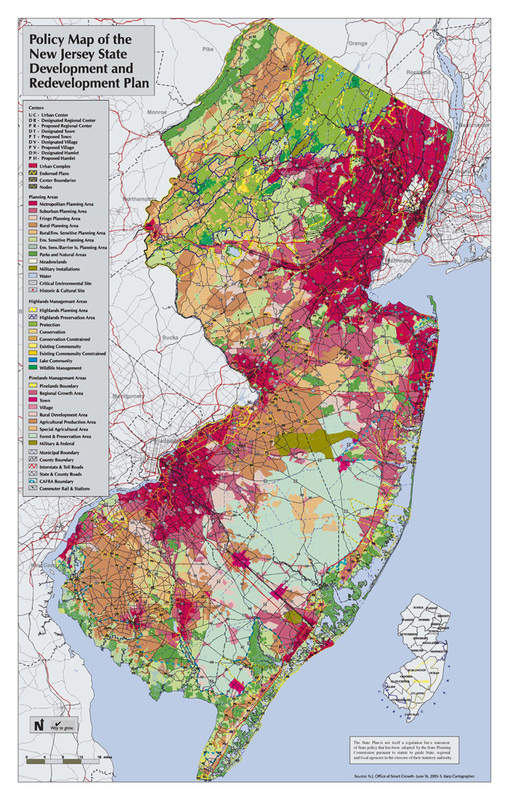 (See “20 Ways to Move NJ Toward a More Prosperous, Just and Healthy Future,” on-line at www.njfuture.org).